'Diamonds are a girls best friend' .... I vote we change that to 'Moissanite are a girls best friend'! I know 99% of the readers on my blog care about the planet and are passionate about making sustainable and ethical choices wherever they can. And that should extend to jewellery! Diamonds are beautiful, no doubt about that, but did you know diamonds are not ethical or sustainable? Natural diamond mining causes heartbreaking devastation and abuses all sorts of human rights. A gift of a diamond is usually a symbol of love between two people, but the story behind how a diamond gets plucked from the earth is far from romantic. If like me you're interested in conflict-free alternatives then you'll be fascinating by Moissanite. I won't lie, a few months ago I'd never heard of the gemstone but now I'm quite obsessed with them. 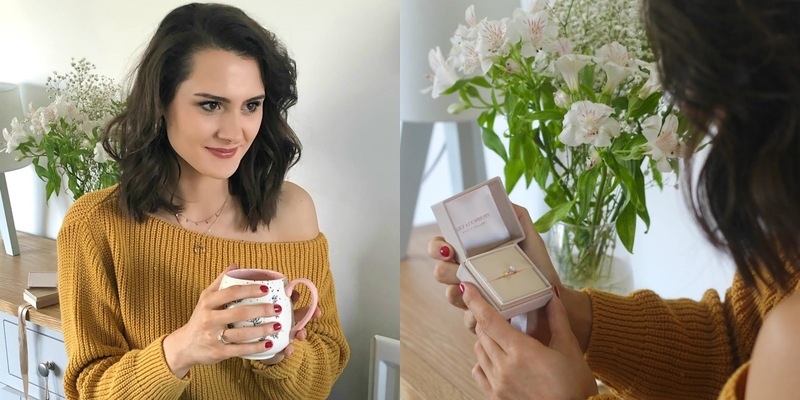 I came across Lily Arkwright, a luxury online jewellery retailer, who create the most beautiful Moissanite rings and other jewellery, and I really wanted to share their ethos and tell you about Moissanite. So, what are Moissanite gemstones? If you think they're some sort of fake diamond, think again! Moissanite is a naturally occurring, very rare mineral which was discovered in 1893. While diamonds are created from the compression of coal and minerals over hundreds of years in the earth, moissanite comes from the stars! However, after many years of work this rare mineral can be successfully grown in a lab. This means a stunning, beautiful, brilliant and colourless gem can be created completely ethically that really does rival the traditional diamond in both clarity and size. Plus, Moissanite tend to truly outshine diamonds with their pure brilliance. Lily Arkwright source their Moissanite from Charles & Colvard, who are the original creator of lab grown moissanite gemstones. 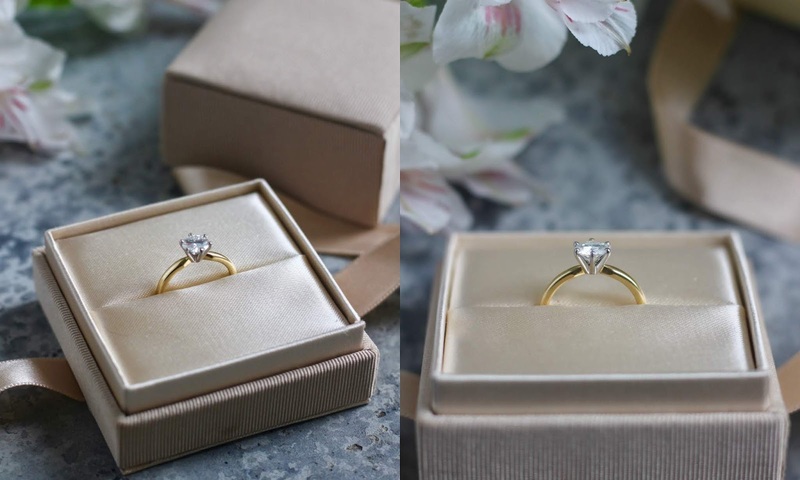 Their Forever One gem is a premium brand of Moissanite and is completely eco-friendly, not involved in any conflict trade and is sustainable too. 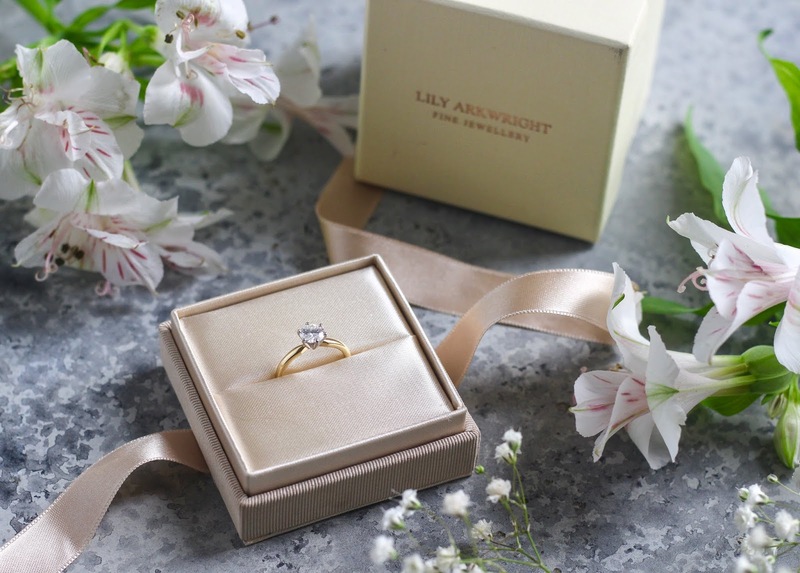 Lily Arkwright were kind enough to loan me one of their breathtaking rings to showcase to you in this post. I have to say, as soon as I opened the gorgeous box encasing the ring I was blown away by the sheer brilliance and luxury of the product. The ring I was sent is the Juliet 18k Two Tone Gold Solitaire ring with 6 prong mount. The bright and sparkly centre moissanite (0.8 carat equivalent) is showcased by the classic mount which tapers in towards the centre stone, ensuring the gemstone really takes centre stage! I'm sure you can agree, it's truly exquisite. I am working with Lily Arkwright on this post but I can say hand on heart I'm beyond impressed with the high level of quality their products have, their impeccable customer service and all they have to offer. All of their beautiful products come with a 12 month warranty, a 30 day hassle free money back guarantee (including postage) and all the moissanite stones are covered by a limited lifetime warranty. In my opinion their prices are also fantastic, but if you need a little help they also offer 0% interest payment plans on all products. I'm incredibly proud to have collaborated with a brand that shares my ethos and I'm so excited to have got the opportunity to share this gorgeous ring with you. Please check out Lily Arkwright's website here - https://lilyarkwright.com and their instagram page here - https://www.instagram.com/lilyarkwrightuk/ to browse their full collection and get any other information you need.